Welcome To FreeWebsite's Website Builder Reviews & Website Guides! Let our experience with website builders guide your search for your next website! These reviews and articles are must-reads for anyone in the market for a website, whether it's a simple blog, a business website, or an ecommerce website. WE ARE THE INTERNET'S PREMIER WEBSITE GUIDE. Check out the various types of website builders by their parent company, type of website you need to build, or the various templates and themes available. If you want to create a new website, the easiest and most affordable way to do that is by using website builders. They come in a variety of different packages, with various prices as well. In fact, you can even find free website builders if you know where to look, either because they are completely free for life or because they offer free trials. Either way, anyone is able to build a website with minimal experience and no special skills. You don’t have to become an expert in PhotoShop, HTML coding, programming, or anything like that. One thing you do also have to look into is whether you website builder comes with or without hosting. For instance, you can build as many free websites as you want through WordPress, but if you want those sites to be hosted with a URL that is yours and yours alone, you will have to pay. Generally speaking, however, hosting prices are quite affordable so that shouldn’t be too big of a barrier. Some of the things to consider when it comes to choosing your website builder, besides price, include things such as user friendliness, template availability, SEO facilities, and more. But just what are website builders? Website builders exist in both online and offline modes. That said, the majority of site builders you can sign up for are likely to be online versions. They are, at their heart, a CMS (content management system), but with a few more additional features. A traditional CMS program is designed to enable you to provide the administration for a large website. Website builders, by contrast, were developed specifically for smaller projects. However, as the world has changed, and the needs of people and businesses change with them, it is now possible to build larger sites as well. 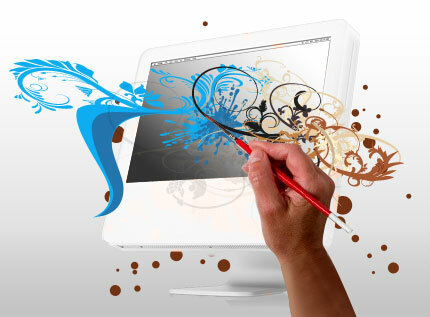 The goal of website builders is to enable anybody to build a functioning website. You don’t have to have any technical knowledge, programming skills, or understanding of coding language. In fact, you don’t even need to work out how you can create a database, apply a template, or how to install a CMS, as everything is done for you. All you have to do yourself is pick the things you like and rearrange your screen so that it looks the way you want it to. 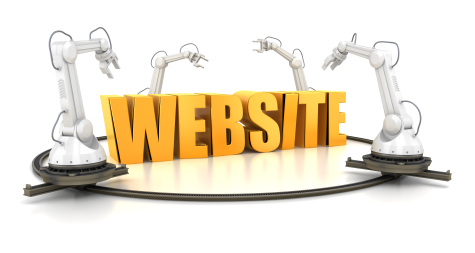 The vast majority of website builders are now fully online. However, you can often still download a software version for you to work on. In fact, you can even download these as mobile apps for both iOS and Android phones. This will enable you to make changes to your site on the go. All you really need to work with these tools is a good web browser and a stable internet connection. Nevertheless, there are still a few packages that exist solely as software, meaning you have to purchase it and install it on your machine, rather than having the ability to work on it online. Whether you choose to work with an online, offline, or mixed site builder, you have to understand what belongs to whom. The content that you place on your website will always be yours and yours alone. Anything that you have created is automatically copyrighted to you. This means that you can, whenever you want to, remove the content from the site and place it elsewhere. This is not the case for the site’s design, however. You are likely to use a template on your site builder, provided to you by the builder, or as a third party application. Either way, that template isn’t yours. Rather, you rent it and this gives you the right of continuous use. You cannot keep it if you don’t use the developer’s services anymore, nor can you migrate your template over to a new site, should you decide to switch. However, this is strictly speaking, and the reality is also that most website builders will allow you to migrate your template as well, perhaps in return for a small payment. What Are the Advantages of Website Builders? You don’t have to install anything if you don’t want to. You can access your website anywhere you want, even on mobile devices. This means that you can even collaborate with partners in different locations. You don’t have to worry about keeping your software up to date, since this is all done for you. Depending on the package you sign up for, you can also have your website hosted. You don’t have to spend any money on things like extra software. You can generally work with a free option as well, either because you have very little requirements, or because you want to test the website builder first before you sign up for a paid option. Do be aware that free options tend to a lot more limited, but more on that later. If your website builder comes with offline software, you can update the site anywhere, even if you don’t have an internet connection, although the changes will not appear until you find a connection. It is an incredibly flexible way to create something beautiful and unique. Website builders are created to be intuitive, meaning that you don’t have to have any programming skills. There are some pretty cool open source CMS systems out there that do similar things, but you usually need quite a high degree of technical knowledge for that. You essentially have a one stop shop for your website, since everything you could possibly need is included. Site builders are surprisingly affordable, even if you get pro packages. In fact, if you were to buy a domain name and pay for hosting separately, meaning that you still have to build everything yourself using a lot more technical knowledge, you would probably end up paying about the same amount. They are full of features because all website builders frequently update in order to remain competitive. All these updates are automatic, and you will generally be notified of them so you know how they will benefit you. Website builders are highly secure, and they constantly update their security features. This means that they are far better than the traditional, open source CMS packages, that have had some very serious issues in the past. All you have to do to make sure your site is safe is to choose a password that nobody will guess. If there are spikes in traffic, you won’t experience any downtime. A lot of people who host their own website find that it will then start to run slow or even crash completely if there is a lot of traffic to their site. For instance, if you manage to get a popular website to link back to you as part of your search engine optimization (SEO), this could actually make your website go down. If you rely on a website builder, however, this won’t happen at all. They are built to be able to hold even the largest amount of traffic by balancing their various server loads. You get drag and drop integration, which means you can add a range of different widgets like audio players, video, PayPal, social integration, AdSense, forms, and more. Good website builders offer fantastic support opportunities. Most have extensive FAQs on their website, as well as community forums. Depending on the package you pay for, they will also offer email, chat, and telephone support. What Are the Disadvantages of Website Builders? Flexibility can be somewhat limited. While good website builders offer a wealth of templates, you can never guarantee that it is 100% unique, nor can you change absolutely everything. Some site builders do allow you to have access to the CSS and HTML code, but that means you need quite a bit of knowledge to make some changes. If you want something really specific, you may find that it is just too limited for you. However, there is only one way to find out, which is to give it a try. You are fully reliant on a single provider. That means you have to be absolutely certain that you can trust them with your needs. You could end up losing your website if the provider goes out of business, for instance. Hence, although there is always something to be said to give newcomers a try, and they usually offer some pretty good deals, it is generally better to go with a more established provider, even if they are more expensive. You have less control over your data because it is stored off site. Providers are based all over the world and you don’t really know where their data storage is located, or how it is protected from things like natural disasters. You can look into this, of course, but you will generally have to take their word for it. If you are interested in things like SQL, Java, and PHP, then website builders are not for you. You literally cannot install server side code. However, if you know how to use SQL, Java, or PHP, then you probably don’t need a website builder anyway, as you can basically do it all yourself. However, the consequence of this inability is that there are also fewer add-ons to choose from, and that does affect everybody. The use of databases is also limited. If you were to go to a real estate website, for instance, you can generally access a database that can be searched and filtered. This is not possible on a site created with a website builder. The exception is WordPress, although some feel that this isn’t really a website builder, but rather an open source CMS anyway. If you want to build a truly large web-based project, then you may find that the site builder is not good enough. There is often a limit to your bandwidth and to how much you can and cannot upload. That said, some site builders do give you the opportunity to sign up to custom packages that are more suitable for large projects. All good website builders offer you a free entry point. That said, if you opt for a free account, you will have some significant limitations in terms of what you can and can’t do. These include having a domain hosted on that of your provider, as well as having their advertisements running through your website. There is a difference, as well, between free websites and free trials. Free trials are limited, giving you full access to paid plan functionality, meaning that you can decide whether or not stick around after your trial period. Some website builders offer free trials, while others offer a limited period full money back guarantee, which basically gives you the same flexibility. With a free website builder, you are able to create a fully functional website, although you won’t have access to any premium features. If you want to create a professional brand image, then you should really consider investing and spending a little bit each month. Upgrading from your free package usually gives you a wealth of added functionality and perks, such as being able to further customize your site, having your domain hosted, and receiving custom URL registration, to name but a few. Furthermore, you may be able to receive a bonus, depending on the company that you go with. There are some significant differences between paid and free versions. The vast majority of website owners, however, will find that the free option gives them more than enough functionality. The large exception to this, however, is anybody who hopes to make money using their website. If you want to sell products, then it is unlikely that a free account will be sufficient for you. Luckily, most website builders who offer free options will allow you to upgrade at any time. This means that if you have built your entire site, and you suddenly find that it isn’t enough, you can sign up to their paid package and your site will just migrate over. At the end of the day, only you will know what your particular needs are, and whether or not a free website is enough. The reality is also that website builders are surprisingly affordable, and most would agree that getting a return on your investment is easy enough to do. If your business is in its infancy, or if you want to create a website to blog or host some personal information, then a free version is generally more than sufficient. There are many different types of website builders out there. The majority allow you to build a huge variety of different sites, offering more expensive plans for those who have more particular needs. Most commonly, people use website builders for ecommerce stores, for small businesses, for portfolios, and for personal sites like blogs. In terms of ecommerce, usually, the standard plans offered by website builders are quite limited in terms of how many products you can add. As a result, they are not a popular option for larger stores. That said, some of the bigger website builders now also offer custom plans, which means you can have unlimited products, as well as other functionalities to make use of. Those who find the greatest benefits from using website builders are small business owners. These include entrepreneurs, bands, clubs, graphic designers, photographers, freelancers, and so on. You may also be able to benefit if you have a small selection of physical or digital gods that you want to change. There are so many types of site builders out there that it is easy to see why they have become so popular. They enable you to get a site online in just a matter of minutes, and you can change and update it in whatever way you like, without ever having to hire a professional to do the work for you. Thanks to online website builders, you can easily create a fully functional web presence. You can add new articles, update your text, placed photographs and multimedia, and even sell anything you like. These programs are really user friendly, following the principle of CMS systems, being that there is a clear distinction between design and content. The main benefit of this is that it is much easier for these types of websites to engage in SEO, since it is easier to find them with the Google spiders. Clearly, you need to consider your personal needs and capabilities before you decide which builder is going to be best for you. If some of those you are considering offer a free trial, do make sure that you take advantage of them. Free trials are usually better than free plans, because free plans tend to be far more limited, meaning you don’t really get to know how the entire system works. What is most important, however, is the fact that you can build a website whether you have experience or not.